Verdicts and settlements are two of the possible outcomes involved in legal disputes. At a more basic level, verdicts and settlements both involve correctly dispensing justice involved with the dispute. However, a verdict occurs when handed down from a jury and the settlement occurs when an agreement that is recognized as mutual has been reached by the defendant and the plaintiff. When it comes to settlements in the majority of regions, they will still need acceptance from a court so that it can become an outcome that is valid pertaining to the legal case. The word “verdict” is derived from the ancient Greek term and means “to tell the truth.” Here, in a trial setting, the jury will be charged with having to listen to facts about a case. They then make a decision as best as possible for a court. 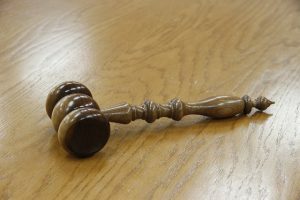 In certain cases when a defendant or plaintiff is not satisfied with the jury’s verdict they are allowed to appeal this decision, which can sometimes mean that the case will progress to higher-level courts with a new trial. Settlements involved in civil trials are the similar to the pleas bargains that occur in the criminal trials. They are typically attempts to try and avoid the expense and stress of lengthy trials in the way of reaching a decision that is mutually agreed on. When a settlement has been reached, the majority of jurisdictions will require that a judge has been notified and then presented with this agreement which will be signed by both of the parties. The differences between verdicts and settlements lie mainly with a deciding party. Individuals who cannot reach mutual agreements will typically go to court on trial until the verdict has been reached. Often the largest differences between verdicts and settlements are the time and money spent on achieving the final decision.